There is a story to tell of the tennis greats that played on the courts in and around Montrose. But first, let me give credit where credit is due, to some of those who helped bring high level tennis to our area. Those of you who are young will not likely remember, but those of us who are older will recall those days, the Friday of Labor Day weekend until that Monday, when the sound of the racket hitting the ball could be heard throughout the wooded mountains which surrounded Camp Susquehannock, Fernheim Farm, Agawam, and the Montrose Country Club (MCC). I am told that Reuel Warriner and Oscar Bates organized and ran the tournament. It was at those venues that the invitational tournament would be played. Up and coming tennis stars would arrive from far and wide to compete for points which would allow them to become the next stars in the world of tennis. Spectators in the hundreds would gather to watch the ball being hit back and forth and to marvel at the skill they were seeing on the court. One of the tennis players, Michael Starke, owner of the Binghamton Tennis Center, states that Montrose became a “…reunion, a melting pot for the tennis nomad.” Mike goes on to say that the games were so intense that upon losing a match, a player threw his racquet, over the fence, in to a cow pasture where it landed among cow dung. He had to climb over the barb wire to retrieve his racquet, which he did, then went home. Reuel E. Warriner, Sr. Agawam Farm, Oscar Bates, Fernhiem Farm, and George C. “King” Shafer. Camp Susquehannock, were the inspiration which placed the Montrose area on the map of tennis. The courts at the Montrose Country Club were made possible, in large part, by the efforts of King Shafer and Reuel Warriner. King Shafer was well known in tennis circles and greatly feared, especially in men’s doubles. At the young age of 13 he held the doubles title at the Scranton Country Club, and at age 15, he won the doubles championship at the Binghamton Country Club. King was three times national indoor doubles champion in 1913, 14, & 18. With players like King it was no wonder that tennis became a main draw in the Montrose area. It is unknown how George received the nickname “King”. Some believe it was because he was “eye candy” for the ladies, and others, that he was “king” among the tennis players. Both may be true. Reuel Warriner, while being an excellent tennis player, also was known as an adventurer. He traveled to Africa where he purchased diamond mines and returned to Montrose where he became one of the leaders of establishing high level tennis. The courts at the Montrose Country Club were special. In a 1909 article by C.O. Morris, “Country Clubs for Everybody,” we are informed that the MCC was established in 1898. The Club was once a farm house and was started by 50 people who pledged $3.00 a year for three years. In 1909, membership at the club stood at 200. In 1927 Reuel Warriner brought in the red brick dust for the court’s surface. This was initially imported from England and later from Binghamton. Reuel also had the red brick dust placed on his court at Agawam Farms. One of the interesting asides about the courts is the fact that under the red brick dust was a base of cinders. If rain flooded the courts, someone would come with a pitch fork and punch holes in the red dust to allow the water to drain away. The court surface was called “En-Tout-Cas,” meaning “in any case,” and needed to be watered every day or else the dust would be blown away. One man that saw to it that the courts received the needed water was John Blachek. The watering now is done by employees of the club. The Labor Day tournament probably began in the early 1900’s. The Shafers were a well known tennis family and, without them, and the Warriners, and the Bates, the heyday of tennis would not have taken place in Montrose. Montrose hosted three of the biggest names that have ever played the game. Let me speak first of William Tatem Tilden II, also known as “Big Bill” or “Gentleman Bill”, John Donald Budge, and Frederick John “Fred” Perry. Big Bill lived from 1893 to 1953, Don Budge from 1915 to 2000, and Fred Perry from 1909-1995. All three were legends in their own time and remain legends today. Big Bill Tilden was friends with the Shafers and visited them at Camp Susquehannock. . He was the first American to win Wimbledon, and during the 1920’s he was undefeated for seven years and ranked #1 for six. Big Bill wrote a number of books and even appeared in movies. He holds the record for consecutive US Open wins. He was the Federer of the flapper era. He invented many of the shots that we see today, including the drop shot, for which he was booed by the British who thought the shot was unsportsmanlike. Big Bill joined with Budge, Perry, Vines, and Nussiein to tour the country playing round-robin exhibition matches. In spite of his fame, he died in a small hotel room, broke, and it is reported that the only thing of value found was a watch that he had won at one of his matches. Don Budge was ranked #1 for 5 years and won 10 majors. His back hand was considered the best in tennis. He was the first to win four Grand Slams in a single year. In 1937 and 38, he won the men’s singles, men’s doubles, and mixed doubles. He was the first man in history to achieve that feat, and he did it three times, eclipsing Big Bill. Budge defeated the then 48-year-old Tilden in 1941. Later in his life he coached and held clinics for children. In December of 1999, he was injured in an auto accident from which he never recovered. On Jan 26, he died in a nursing home in Scranton, Pennsylvania. Frederick John “Fred” Perry, 1909-1995, was born in Britain into the “lower class” of British society. He was renowned for both his tennis and table tennis skills and for a time was ranked #1 in both sports. He won 8 Grand Slams and 6 major doubles titles. He was the last British player to win a Grand Slam in men’s singles until Andy Murray won the US Open in 2012. He is considered one of the six greatest players of all times. Perry turned pro in 1936 and moved to the United States where he became a citizen. He served in the air force in WW II. In 2000 he was named “Best of the Best” British sportsmen of the 20th Century. Because of his impoverished beginnings, he was shunned by the elite of British society. When he won Wimbledon, his All England Club member’s tie, which was awarded to the winner, was left for him on his dressing room chair. Perry, like King Shafer, was “eye candy” for the ladies. He caught the eye of several actresses, including Marlene Dietrich. After a number of unsuccessful marriages, in 1952, he married Barbara Riese, a marriage which lasted until his death. Big Bill Tilden called Perry “…the world’s worst good player.” In addition to his skills in tennis and table tennis, he is also credited for creating the first sweatband. Perry, when elderly, broke his ribs falling in a hotel bathroom. He died shortly after that fall in 1995. These three players were among the greatest that ever played the game of tennis. They, along with King Shafer and Rueul Warriner, are credited with placing Montrose, Pennsylvania on the tennis map. Today, tennis players can still enjoy playing on the red brick dust at the Montrose Country Club. Round Robin play can be seen most mornings with two groups, one playing around 7:30 am and the other around 9:00 am. In addition, there is an active young people’s group of about 30 players who receive excellent instruction from Chris Evans. 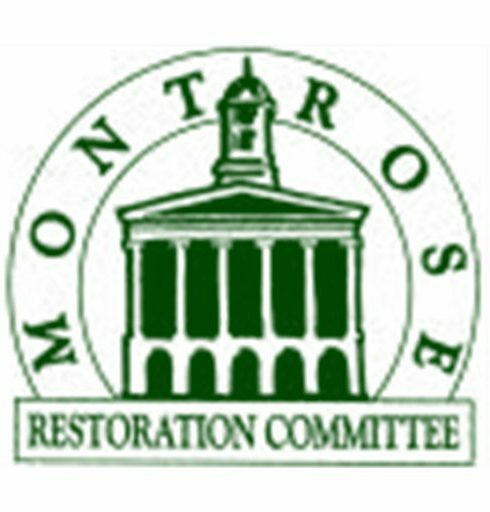 In addition to the above activities, the Montrose Adult School also offers several tennis events a the Montrose Club. The courts at the MCC are a treasure. Be assured, if you want to learn tennis or play tennis, there is always someone at the Club to welcome you onto the courts. So come and play the only game of love. Many thanks to Harold Smallacombe, Alma “Timmy” Wood, Michael Starke, and De De Shafer, for the valuable information they provided on the history of tennis in the Montrose area. Additional information was obtained from Wikipedia, the Binghamton Newspaper archives, Robert Warriner’s obituary, and smugmug. com : “100th Anniversary of Camp Susquehannock founded in 1905 near Montrose, Pennsylvania,” The New York Times, Aug. 30, 2009, “Bill Tilden: A Tennis Star Defeated only by Himself,” by Karen Crouse, Binghamton News, Sat. Aug. 5, 1978, The Montrose Club “Grand old lady of tennis”, by John W. Fox. Country Life in America, “Country Clubs for Everybody”, by C.O. Morris, 1909. Camp Susquehannock, “A One-Hundred-Year History, 1905-2005 and The Story of its Founder George Carlton “King” Shafer”, by Louise H. “DeDe” Shafer. Previous postThe Library is Hosting a Big Celebration and You are Invited! I enjoyed doing the article Carole, Harold was a big part of the tennis scene in Montrose. Many players have learned to enjoy the game because of Harold. He was loved by many, including me, and he will be missed. What a wonderful article! I have a typo that needs to be corrected. My Dad is John Blachek, and his name was spelled as Blochek. My brothers watered and rolled the courts for many years as part of their summer jobs. Thank you, Judy. We will fix that right away. Sorry about the mis-spelling of your Dad’s name and thanks for letting me know. Glad you enjoyed the article and that your Dad was a part of the “Halcyon Days Of Summer”.